On November 28, Stone & Wood will mark ten years of beers. They've got all manner of plans in place – not to mention a new brewpub coming online in Brisbane – and among them is this beer. 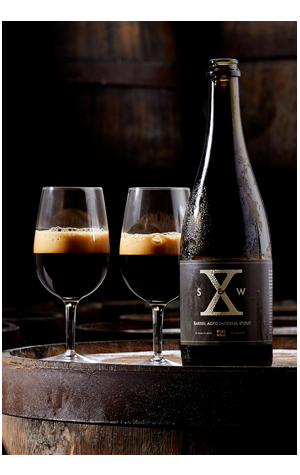 It couldn't be much further from the beer upon which the business has been built, but it's certainly the sort you pull out for a special occasion: an imperial stout aged for ten months in former Port barrels. The choice of fortified wine barrels rather than the bourbon or whisky more typically used for barrel aged imperial stouts mean the impact is subtle more than punchy. You'll pick up dark fruits alongside the expected rich chocolate and roast, as well as soft oak characters. It's rounded, smooth and rewarding on the palate and, as it warms, you'll find more and more of that Port coming through, adding a fruity vinous side to the birthday beer. You can watch a video about the beer and ten years of beers here.